Discover if FieldTrip Pro is right for you. Watch our 5 Easy Steps Demo Videos now to see how FieldTrip Pro can work for your school to reduce the headache and effort needed to plan a field trip. Try FieldTrip Pro for Free. Contact us to learn about our risk-free trial offer to test FieldTrip Pro in your organization. We believe that you’ll see the difference yourself! We’ll help with customizing, deployment, and support. We have you covered from start to finish; from planning, to customizations, to deployment, to long-term support. Learn the 6 Ways Teachers Can Improve Field Trip Planning. Claim your FREE download and avoid these common mistakes when planning your next field trip. Shouldn’t field trips be fun for students, parents and teachers? Yet the planning process is anything but fun. Get back to enjoying field trips with a specialized field trip solution, FieldTrip Pro. Planning school field trips can be slow, cumbersome and tedious — getting approvals amounts to a pile of paperwork that needs to be created, approved, printed, copied and on and on. Wouldn’t it be great if there was an easier way to easily input information from a computer or mobile device that could save data, create templates, streamline the approval process and update in real time? Now there is. With FieldTrip Pro, we’ve created a simplified system with superintendents, teachers, parents and students in mind that automates the entire field trip planning process via a secure and easy-to-use technology system. Get your FieldTrip Pro project started NOW! It’s simple to get started with FieldTrip Pro. Request a FREE Consultation to discover if FieldTrip Pro is right for your school or to learn about the next steps. 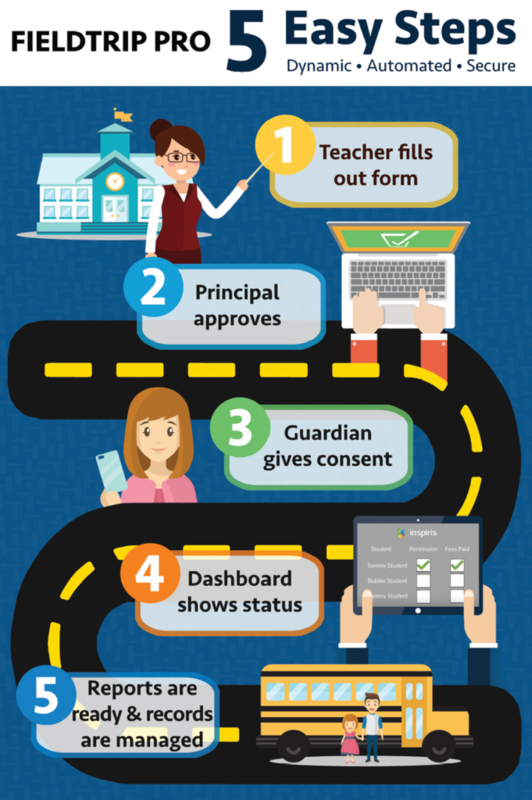 Once you’re ready to rollout and deploy at your school, we’ll help you every step of the way. Get the latest tech solutions that will supercharge your people and grow your business.